The final round of Ricky Baxters silvers series at Sumner Match Lake and what a beautiful day we all woke too. My results in this league meant I was nowhere however it was tight between the top 5 with them all having a chance at taking the crown. It would be an interesting day! Permanent peg 4… I always seem to draw in this area! 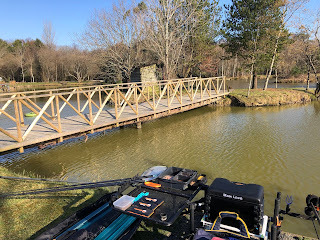 Only fishing the other side once in all the matches I’ve had at Sumners late last year and this year. Waggler at around 14 metresWhip line at 3 metresLeft hand margin Bait was all natural, mainly casters, hemp, maggot and some worms. I bought some Fin Perfect silvers groundbait from Andy G at the Big One on Saturday so mixed up a small quantity of that. Now the final day of the festival is a leveller for all of our skill groups. We would no longer be fishing our section as we had completed the lake rotation. I had managed to get into the 3rd group, so one up from the numpties. Which lake would we be on? Well Clive W drew for us as I had been banned from drawing and we would be back on Beatties. Not too bad I thought and herbie had removed peg 6 as it simply did not fish that well during the week. 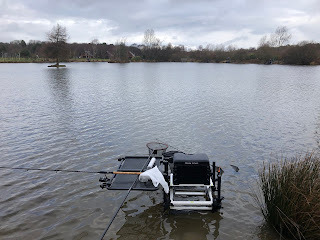 So I ended up still in the shallow area again, this time on Peg 8! Everyone survived the Curry night with just about everyone on the festival attending. No naan breads on John Beesley’s head, 76 Trombones challenged the chefs to cook him their hottest curry (silly boy) and Darren Fisher (cannot draw for toffee) tried his first cu rry dish! Beatties today, a lake we have never fished in the silvers festival and it had been throwing up some mixed weights. It was clear though that nobody wanted the shallow end pegs 6 or 7. So, there was no surprise for me to be sat on peg 6, at least I had Alan Mac as my neighbour. I seemed to be following Jamie Howarth around drawing his pegs. He told me not to even bother with the pole as it was just too shallow and to grab my wellies as it would be easier to sit in the water to clear the cast from the trees. So it ended up quite a simple set-up, one waggler rod and one feeder rod. Now I’m not doing very well in the competition, two days in and I’m most definitely earning my division 4 ranking! Today I’d be on the lake that is my nemesis, Woodpecker and I was hoping for a good draw. So I decided to take the final peg in the bag today and I ended up with Woodpecker Peg 12 with Big Ben and Richie Farrow for neighbours. The masked bandit Rob A a little further up the way. 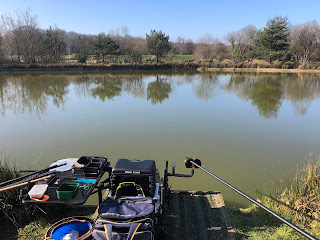 The weather was bright sunshine, very little wind and flat calm on the water so perfect for the waggler and pole. The lake rotation for my section meant that we would be on Pines today. Again the MFS massive gathered in the tackle shop ready for the draw. Neighbours for the day, Big Nige on the left side of the bridge and Pete Merce on my right. Across about 2 metres from the bankTo the bridge above the middle stanchionTo the bridge below the middle stanchionInside margin line to the bridgeThe bridge lines where deep at almost a top two and with the wind blowing quite strongly I opted for a 1 gram rig. Bait was Pellets, caster, worm and maggots. 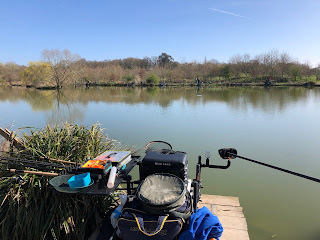 Today I decided that negative feeding would be the way forward so kicked off the far bank swim with a small nugget of chopped worm and the bridge swim a small amount of micro pellet starting with a dead red on the hook. With the arrival of 2019 another visit to Stafford Moor for the MFS silvers festival comes around. Organised by Herbie, our intrepid leader supported by Kenfish and Hathers. 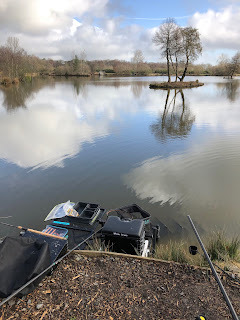 I had arrived early on the Saturday morning having suffered some sleepless nights in excitement for the week ahead and had some opportunity to practise on both Woodpecker and Pines. Over the weekend the weather report was shaping up for a cracking week considering 2018 we suffered from the “beast from the east” this week promised to be totally the opposite and around a 20-25 degree C difference in temperature! 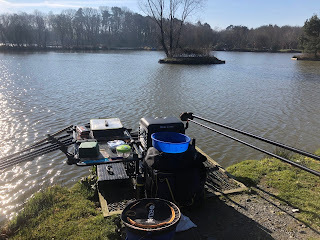 Monday morning soon came around and we all gathered at the JoOp, “the tackle shop with everything” ready for the start of the MFS Stafford Moors Silvers. Today would be an open draw across all the lakes, Woodpecker, Tanners, Pines and a new addition for this year Beatties (the specimen lake). It would also determine the section we would be fishing in for the next 4 days.